The crabbing industry in Alaska is one of The Last Frontier’s largest and most important industries. Maybe you’ve witnessed the spectacle of king crab fishing on Discovery Channel’s Deadliest Catch! If you’re interested in Alaska crab crabbing then look no further than our Member’s Section for factual information about the industry. Each year hundreds of people head north to take part in Alaska’s fishing industry. While as a whole, Alaskan fishing attracts thousands it is the crabbing industry alone that many are drawn to. This is because crabbing jobs in Northern Alaska are some of the most lucrative and high paying jobs in the industry. On top of this, a short season means the potential for large paychecks earned in only a short time; sometimes taking place over the course of only a few weeks. This single aspect about the crabbing industry is enough to garner serious attention from fisherman and crabbers alike. Yet, there is infinitely more about the crabbing industry that makes it so unique and appealing. 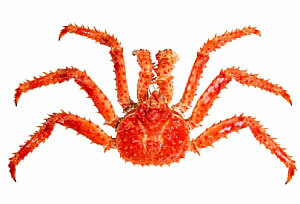 Of late the Alaskan crabbing industry has earned a reputation that precedes itself with shows like the Discovery Channel’s The Deadliest Catch. This show, which follows a crab fishing boat in the Bering Sea shows viewers just how adventurous and similarly dangerous, fishing for crab in Alaska can actually be. With the beauty and also the torment of the Alaskan wilderness playing a huge part in the show, a first hand look at one of the world’s most high paying and yet dangerous jobs is at the disposal of everyday people. For a look at the living conditions, weather conditions, stress and also the rewards behind working in an environment such as this, the show provides a valuable resource. Yet, while the show is great for gaining a sense of the drama behind Alaskan crabbing, our website delves into the specifics of getting you inside the action. It’s not easy, and you can find out why in our Member’s Section. history on how one of the world’s deadliest jobs has turned into an industry favorite. The information available in our member’s section is ideal for anyone interested in working in the Alaskan fishing or crabbing industry. While many people think they can simply head north and procure a job as a crabber, there is a lot of insider information about the time of year, where jobs are most abundant and how work your way towards becoming a crabber in Alaska’s Bering Sea. With so many people eager to earn large paychecks in the short crabbing seasons, jobs can be scarce because of their popularity. Our members have information on how to find jobs offshore working in a crab processing plant where many crabbers get their start. Tips such as these are key in helping AlaskaJobFinder members work their way into this closed door and competitive industry. 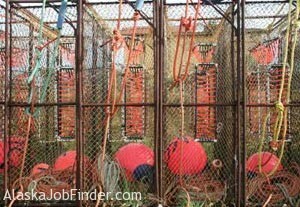 Aside from the specifics on how to find jobs and what types of jobs are available in the Alaskan crabbing industry you will learn about the history behind what the Bureau of Labor Statistics called the world’s most dangerous job. You will find that while working in the Alaskan crabbing industry demands a lot of hours in a short amount of time, it is nothing compared to what the Alaskan wilderness demands of you in terms of braving the elements. The crabbing industry takes place in northern Alaska where even in summer months the waters can be difficult to manage. However, the crabbing season takes place during a time where the Bering Sea in Alaska can be at its most dangerous, requiring not only a strong work ethic from crabbers but also a large degree of bravery as well. For the adventurous minded the Alaskan crabbing industry is hard to ignore. 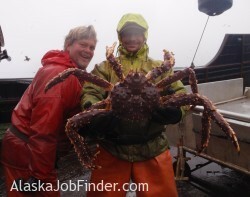 Get started on your Alaska crab fishery job – Search Now!